Imagine your child's face when she or he sees their own story and drawings made into a professionally typeset, hardbound book! With this multi-award winning kit, you simply have your child write and illustrate their story using the materials supplied in the kit, which are then mailed in (in the pre-paid envelope provided) for publication. You'll soon receive a beautiful hardcover book with up to 20 pages, complete with an "about the author page", title and dedication pages and your little author's name, title and drawing laminated on the cover. Extra books are optional and make great gifts for grandparents. 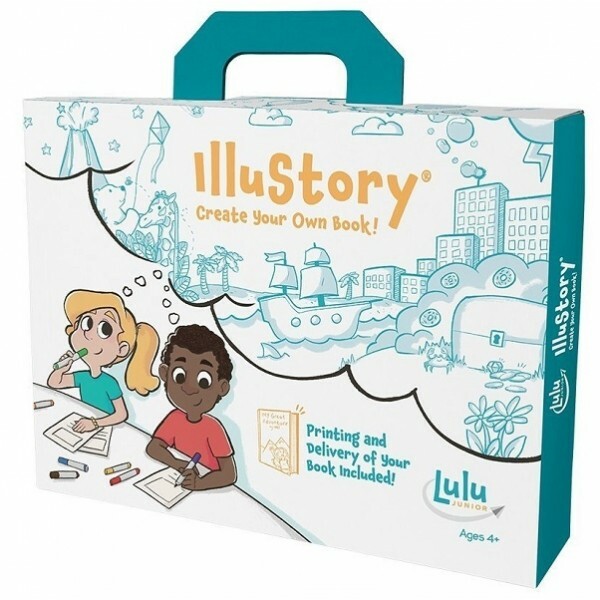 Please note: at the moment, Lulu Jr., the creators of Illustory, can only ship completed books within the US. For more ways to encourage kids' interest in creative writing and storytelling, visit our Writing & Journaling or Reading & Literacy sections.